Discussion in 'Cars in General' started by GTPNewsWire, Apr 2, 2019. This article was published by Andrew Evans (@Famine) on April 1st, 2019 in the Car Culture category. JensC, Codemastersk, XRaider and 19 others like this. XRaider and Inferno251 like this. Ford UK did - don't know if it still does - have a pickup Fiesta which it used for tracking shots on launches and events. But still, that Yaris is brilliant. niky, VXR, XRaider and 2 others like this. I hope someone makes an aftermarket Jeep front fascia that you can bolt on to the 300. 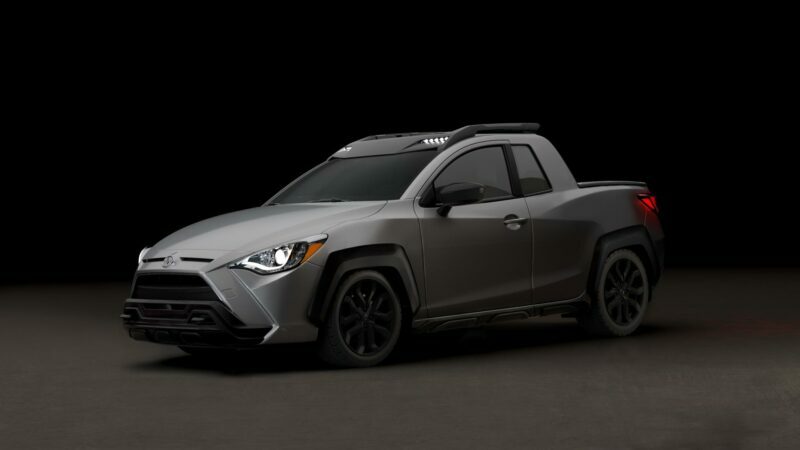 Also, I love the Yaris truck. JensC, XRaider, bremics and 2 others like this. Though the Publica looks better. You mean a Ford Courier? JensC, XRaider, Roo and 3 others like this. That Yaris Ute and Jeep saloon are all kinds of awesome. JensC and XRaider like this. JensC and Codemastersk like this. JensC, XRaider, Robin and 2 others like this. Give it a month or two, someone will make that Jeep one an actual kit...I really kinda want one now. Call it a Jeep Eagle or something. Just waiting on the Land Rover sport coupe now. girabyt3, bremics, moparmanmike and 1 other person like this. I mean...i know that jeep sedan is just a 300 with a jeep front end, and you can call it blasphemy, but... I mean....yeah i would buy it. Course i think the eagle 4x4 wagon was one of the coolest cars made, especially buy amc. And this is from someone who loves the amx and had a amc 1983 cherokee chief. bremics and BKGlover like this. courageC60 and Populuxe Cowboy like this. 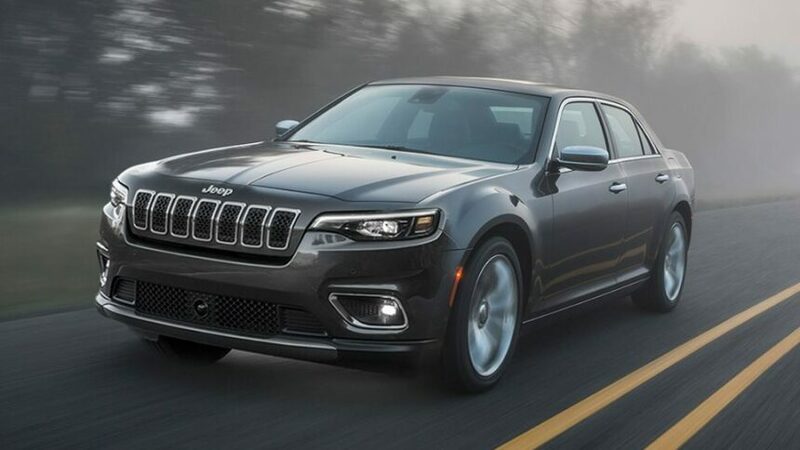 The Jeep Sedan needs to be more than just a Jeep front end on a 300. It also needs the "jerry can" taillights in the back. It needs to be lifted with 4WD and it needs to be able to navigate the Rubicon Trail. Then it will be a Jeep. Yeah, they could have easily given that Jeep photoshop a slight lift, all terrain tires, and Audi All-Road style fender flares. That one was just lazy. Audi reports it’s the latest innovation from Ingolstadt’s “Komplett Geschminkt”* research unit, and along with the sweet ride the b-tron comes with an on-board toaster. What you effectively wrote there was "Completely covered in make-up", which looking at the care could also be true. The best thing here is the names of the doctors. It leads the class in literally every possible way… because nobody makes a B-segment hatchback pickup truck. You must have seen Ford's Mk6 Fiesta and Mk2 Focus ST tracking cars too. They're excellent. I've seen the Focus but don't think I've seen the Fiesta yet. XRaider and Populuxe Cowboy like this. That is almost the worst thing I've ever seen. bremics and daan like this. TexRex, XRaider and Danoff like this. Is it bad that I now want a hatchback-based ute with a 90s interior? Believe me when I say that Jeep is going to mass produce this sedan. This on my driveway? Yes please. RandomCarGuy17 and Populuxe Cowboy like this. So.. Mitsubishi and Toyota both have new coupes coming out soon? Cool.